We create custom-made expeditions to explore your passions: Nature, Adventure, Culture, Archeology, History, Ecology. Decide how long your journey will last, pick your favourite activities, and leave the rest to us. We guarantee a thrilling taste of Mexico. Mexico is a unique country representing a rare combination of cultures, languages, colours, and styles: Huicholy Indians and Frida Kahlo; colonial architecture San Miguel del Allende and Copper Canyon; mountain lakes of the State of Morelos and underground stalactite caverns of Yucatan; mystics of Palenque and legendary Tequila…and not just the drink! Markets handled: Russia, Ukraine, Latvia, Estonia, Lithuania, Kazakhstan, East Europe, India, China, Turkey, Korea, Hong Kong. Services offered: Cross-country tours, transportation in late model cars and luxury vehicles on request, hotel accommodation 4*, 5*, GT and boutiques, often including breakfast. All- Inclusive tours and excursions with personalized assistance in Russian, English and Korean, 24-hour support. Rates: view our private online catalogue: www.arminastravel.com our wholesale website can access our online prices, check different options for hotels / prices / seasonal promotions. Products offered for: Circuits, Excursions, Incentive groups, MICE. Seminars about Mexico and its vast tourism potential, to promote the country directly with the most important travel agencies in Eastern Europe. Approximately 15 seminars annually in Russia and Ukraine. Armina Wolpert participated in the 2010 launch of “Routes of Mexico”. This major event was led by the President of the Republic, Felipe Calderón, and the Federal Ministry of Tourism, Mrs. Gloria Guevara, as well as representatives from the Tourism Sector. Our staff is an excellent team, always willing to work for our customers by providing effective and comprehensive responses to your requests within no more than 24 hours. The aim to give you maximum satisfaction. By achieving this our wholesalers are spokespeople for the quality of the services we offer, and naturally become promoters of Mexican tourism. Providing tools and strategies for fast and efficient work with aim to inrease flow of quality visitors, who could really appreciate Mexico in all its essence. Expand the quality product to more tour operators and travel agents in Russia, India, Turkey, Eastern Europe, Korea and other countries. 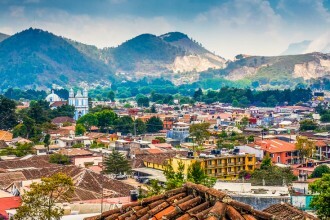 Positioning Mexico as a unique destination for intellectual, cultural, historical, ecological and even culinary experience. The distinctive “M” is the recognition that the Government grants all Tourism Companies that have successfully implemented the Quality Program “Moderniza” and supports the adoption of best practices and model tourist enterprise distinction. This award is given to the companies at the end of its implementation. I write yo with a deep gratitude about the tour you made for Ivanov and Garanin (“Mini Yucatan”, january 25th 2014). Thanks to Natalia, the guide, she made our customers love Mexico and made their trip a memorable experience. And thank you for the hotel selections. Everything was great from the first to the last day, tourists enjoyed Royal Hotel, ate great an the guide in Cancun was always at the right moment on the connection. Pleased that, no matter how tough our business is, there are still reliable and professional partners! We just got back from our vacation and I decided to write a comment :)! Thank your company and especially wonderful guide Natalia Kozlova! Unfortunately, we got to know about your company a little late and could just see Mexico City with its help. We really liked a good organization of the flight from Cancun to Mexico City, hotel check-in and return to Cancun (without any problem, delays and nerve-rackings) ! 2 days spent in Mexico City were absolutely not enough, because these days went too quickly, but thanks to Natalia they were joyful and interesting! Natalia is very understanding and positive person! You just can ask her where you can have a good and tasty lunch and she can recommend an amazing Mexican restaurant where you will feel like home, and there is no problem that you don’t speak Spanish. Natalia will recommend you several dishes and write the names of the dishes in Spanish! She will also recommend you the place where you can drink a cup of hot chocolate in one of the oldest café, and you will try it with traditional churros! Natalia will also suggest you some interesting places in Mexico City. If you are thinking of going or no to Mexico City, my answer is “Yes! You should definitely go! There are places to see (and not only Teotihuacan) and to take a walk! !” The first encounter with this country was very nice! Now we would like to come back to Mexico and to go on one of your circuits to keep enjoying the fascinating trip through this country! We are tourists from Saint Petersburg Korobkov Viktor and Korobkova Tatiana. A while ago we came back from very interesting trip in Mexico organized by your company. We thank you with all our hearts! We also would like to thank our guide Anastasia Timbovueva for her high professionalism. She was very attentive and tolerant to our not simple group, to say the least. Having an intimate knowledge of history and art of Mexico, Anastasia gave us a very interesting tour, she explained us everything if it was necessary, answered our questions etc. If all your guides have that level of qualification, we congratulate you! Once again thank you very much! Korobkov Viktor and Korobkova Tatiana. My wife and I came together to Mexico. We have been to some short excursions and we liked them. When we were going to go to Miniyucatan, we didn’t know what to expect. I would say that we didn’t expect it. Amazing beauty and variety of historical and archaeological monuments and zones. But the most important was our guide. Erudition, knowledge and ability to give information interesting cut us to the heart. Our excursion was 4 days ago, but we still remember Natalia at every given opportunity. She is a sample of a guide! We would like to thank Natalia personally and Arminas Travel very much. Book your excursions and ask Natalia to be your guide? I would like to thank our guide Anastasiya Tambovzeva who accompanied us on the circuit “The Cities of Gods” January 2 – 9, 2013. Thanks to erudition and knowledge of Anastasiya I really got inspired with the culture and history of Mexico and with the history of indigenous people of Mexico. Anastasiya expanded on this topic very well. She is a true expert at what she does. I would like to thank you for excellent excursions during my stay in Mexico. It was a pleasure to receive a good service of your company and guides and to become personally certain of the best choice of our partners in Mexico. I would like to thank you, your guide Maya and driver Ismael for organized tour “5 Civilizations” and Nastia for excursions in Mexico City. It’s a pity that in my trip I lost a memory card with all the photos from Mexico. In general everything was great! Thank you very much! And concerning photos I hope I will be able to repeat that trip! Moreover, I already know that Mexico is an amazing country! We are already back home. January, 5 I had a club meeting in Ekaterinburg following the results of the trip. The participants are satisfied with the trip and the organization of the tour. I really like collaborating with Arminas Travel. This is a reliable and competent partner. I would like to thank every employee of Arminas Travel and everyone who organized our tour. Thank you very much! And special thanks to Vesta for friendly attitude and sincere help in all the issues. A reliable partner is a great asset!!! Good bye for the moment! First of all I would like to thank you for the organization of the tour to Mexico for our tourists Sysoikiny! They liked everything; they are really in love with the country and want to come back! We also would like to thank your representatives in Mexico who showed the country to the tourists! I also wish you success, more grateful tourists and all the best in the New Year! We are already home – it’s -5C and it’s snowing in Riga – but rays of Mexican sun still warm us (but only in our memories). We want to thank you for answering all our questions. Thanks to our guide Maya and our driver Edgar for a good job. Special thanks to the airport employees and to Arminas Travel, to everyone who participated in searching and delivery of our lost luggage. We have a lot of emotions and memories about this trip. We would have stayed in Cancun more, but it was so: we swam a little bit, got a little bit of sun tan, shopped a little in La Isla and bought some souvenirs from Cancun. I don’t think we will come to Mexico once again. Not because we didn’t like the trip – we liked it and we want to thank you, but because there are probably a lot of places in the world, where we haven’t been to. Thank you for the trip! We are really amazed by the program Mesoamerica. It seemed like we have been on vacation not for 2 weeks, but for 1 month or more. We have got a lot of lively impressions and new information! I also would like to thank Sasha. In spite of being so young, he is a highly professional guide! We got to know a lot! I also appreciated his endurance, patience and customer orientation; he could tell us everything and answer million questions that we asked. We also had time for shopping and taking pictures. He also has shown us a lot of interesting things out of the program. We trusted him 100%. Sasha is wonderful! The hotel Live Aqua, where we stayed in Cancun, was also very good. I will recommend it to our tourists. We liked absolutely everything (I am very captious). The staff was very friendly; everybody wanted to help, and it is a pleasure. And a special thanks for Temazcal. This bath impressed me! I didn’t even expect such feelings. I will recommend it to everyone. Once again – thank you very much! You are the best! Today my husband and I have come back from Mexico, we have been 2 days to Mexico City (September 21, 22). Eleonora Alieva was our guide and we would like to thank her for excellent, full and informative excursion about Mexico, about its history, she is a wonderful guide! I have been to Cancun in September. Everything was excellent! I would like to thank our tour guide Anna for interesting and informative trip through Yucatan. Travel with Arminas Travel and you will be satisfied. For ARMINAS TRAVEL from group of tourists of Russia on a route of the city of Gods; rest – Dreams Puerto Aventuras hotel from 14 to 27.03.2012. We thank organizers of round for wonderful travel on this unusually joyful, harmonious, benevolent country – Mexico. We liked each hotel, buses and drivers. Special gratitude and low bow to ours to guide Tatyana Nechay. She helped us to fall in love with Mexico forever. As it is pleasant to learn and become impregnated with spirit of the country from the person who loves the work and the country. Our assessment – it is excellent! And even excellent assessment. We fell in love with you Mexico! Kind wishes to everyone met on our route and prosperity to Mexico giving harmony to all Earth! We would like to tell a lot of thanks to Arminas Travel for our perfect rest, for meetings & greetings & also for the perfect excursion program. The guide Aleksandr – the best! We had never seen so good professional staff! Everything was perfect: in time, all the information was so interesting, we got such a new knowledge about the Maya Indians about Mexico – was really fantastic. Aleksandr has got his own development & interesting media. We ask to award him for such a perfect work!!! We World like to tell you a lot of thanks for the perfect organization of the trip of our clients. This was a couple and they did the excursion «The Cities of Gods» and then the had the rest in Cancún in “Le Blanc Spa Resort” 5*. Our clients are very happy, they told us that everything was really well done – the organization, the work of the guides, besides they didn’t feel themselves tied in spite of the long way of the excursion. About the hotel they told us only good words, the room, the meal everything was perfect. As they told us their vacation it was like the second honey moon! We would like the say a lot of thanks again for Arminas Travel staff for their really professional work! You are the best! Hope for our future cooperation! We have traveled a lot. Different continents, countries – more than 100 cities, excursions, guides. And I must say, that Raul & Anna are the best guides I have ever seen. The excursions were very interesting. It was a great pleasure for us to spend time with them, visiting places of interest. We are happy. Best wishes to Arminas travel. The clients came back fully satisfied about your services. We are looking forward for a further cooperation. In this sense, please send us you packages & suggestions for Cancun (hotels / excursions / transfers). Best regards and J Happy New Year !!! We World like to tell you many thanks for our trip to Mexico. It was very nice and unforgettable. The excursion “The Cities of Gods” was perfect! A lot of thanks to our guide TATIANA NECHAI, she is the most professional staff. Her excursions were very interesting, she was very kind, has the perfect organizational skills. A lot of thanks for Dina and Irina, our guides in Cancun. We’d like to thank Tatiana Nechai, for the fact that thanks to her, we saw a Mexico, as well as dreamed it. For her professionalism, charm, subtle humor and courage. Another greeting to Alley, who also accompanied us. We just returned from Mexico. We are full of impressions! It was really remarkable trip!!! Interesting country, great guides, good tour service and perfect hotels organization! I would like to thanks you for your good job and your help, especially to Arminas travel!!! Good luck to you and your company, we wish all your clients be happy as we are!!! Tour was very good, all hotels were very well chosen thanks alot. Guides in mexico City, Guatemala, Tikal, Yucatan were very good. I don’t mention about Bel?ze they were good also but time was very short. Whether was rainy and we really didn’t have much to see. Lamanai was also good to see. I specially would like to thank for Mr.Raul our guide in Yucatan. He was very experienced and his explanations and DVD shows in the bus, music CD was very impressive. We thank you for choosing him..
Ended our wonderful trip to Mexico. I want to thank you for the excellent and efficient organization of the tour. Tourists pleased with hotels along the route, transportation, driver and guide to our favorite Maya. Many thanks to Armin for a friendly and knowledgeable staff Arminas travel. Azaleas on my special thanks for all the bookings and the documents easily and pleasant to work with you. Your patience, understanding and taking care of tourists in all situations were always a team of professionals, thank you! I want to say a sincere thank you! Thanks to you and your help, we went a startling an interesting trip to Mexico and well rested in recommended by your hotel! We’re just delighted with the excursion program. Special thanks to our guide on Arminas-travel Eleanor – for professionalism, an exciting selection of information, attention to tourists. We look forward to next trip with your company! I would like to tell you many thanks for serving my clients – Sahnazarova and her daughter. 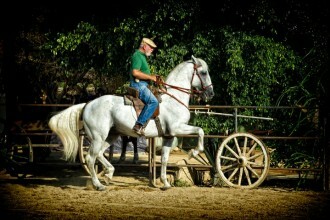 I appreciate very much what you and your team have done to fulfill my clients dream to see Mexica! They returned absolutely excited and full of impressions. I want to thank you for a memorable and fantastic holiday in Mexico. 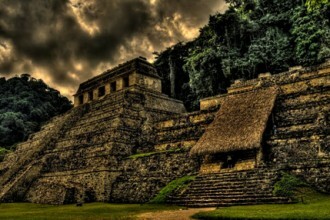 We got acquainted with Mexico during the tour of the Five Civilizations “in the period from February 25 to March 5, 2011. Everything was just great! Guides, which Eleanor Aliyeva and her assistant, Alexander, just wonderful! With such a professional, as Eleanor, honestly, we met for the first time. And we very much part of the wheel of the world. Cognitive, interesting, fun! For eight days we have been given much information about Mexico, in all forms, that by the end of our tour, we just fell in love with Mexico! The next train will plan only with your company. If your company all the guides of the highest caliber, like Eleanor, I want to just congratulate you on such a team of associates. Thank you very much! A huge hello to Eleanor and Alexander! Best wishes for your company, new routes, good luck, success and prosperity. I would like to inform you that a trip to Mexico well. Everything went according to plan without a hitch. Especially liked the tour guides: Eleanor in Mexico City and Tatiana in Cancun. The hotel in Cancun was indeed a good beach with calm sea – Riu Palace Las Americas. Thanks for organizing the trip! Vacationing in Mexico in January 2011. The trip is very pleased, everything was very interesting. Thank you very much for the guide Natalia Kozlovu.Obschenie it gave us great pleasure. She is very knowledgeable guide who knows and loves his job. Since it is very nice to talk to, she was very attentive, kind, sympathetic, cheerful. She’s just a wonderful person. Natalia made our holiday is brighter and more interesting. Thank you for your work. Tourists Belova Ekaterina Homeland Marina and Elizabeth, Rusinov, Valeria and little Andrew Belov. Mexico for me was the 70 th country abroad. Nothing I especially did not expect were some concerns (service, security, etc.). And here was almost one month until we returned. And not a day passes to my mind, I never returned to the fragments of this large, bright, wonderful journey. I do not know whether it is possible at my age to talk about love, but definitely appeared steady interest. Evenings on the web to view the history Mexico – striking, as the country itself, fascinated contemplate culture, a powerful, sometimes hallucinogenic-otherworldly. I understand that no accident Trotsky on Red Square has put a zapotecan sculpture, and the ending of life met it is in Mexico. A Museum of Anthropology! A Cathedral in Taxco! 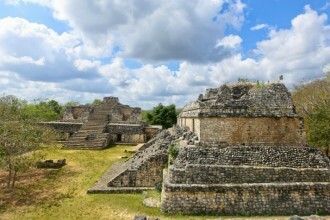 Monte Alban, Yashchilan, Bonampak, Uxmal gorgeous … A San Cristobal! Did not expect find here a community of people sharing the same values and those who live by the same aspirations as myself … and Agua Azul … From senote in Dzibilchaltun 2 days I could not get a family. But perhaps most importantly – people. Specifically, in the perception Mexico I was a victim of stereotypes of perception of your country and its people, imposed by the powerful northern neighbor. The parallels suggest themselves with Russia easily. I am a strong supporter of independent dive-perception in one or another country. Lonely Planet – is my methodology. This is the way really feel the people inhabiting the country immersion. Mexicans (Dozens and dozens of sovereshenno different – from the police, to nurses, from the waiters, until the night of random passers-by, from doctors to sellers – were Euro-civilized people. Total goodwill on with respect to the stranger struck. Especially because we have – they are of inhospitable, morose in general the country. Once again, thank you for your support, dear Armin. My life has become even more interesting. My wife Mary arrived in Mexico City. Two days later we were granted, your company, guide, Natalia Kozlova, which accompanied us for 2 days in the individual rounds. My wife and I travel a lot around the world and always use the services of guides to learn more about the customs and peculiarities of a particular state. It often happens that the guides are very dry and formally convey information to visitors and only under the current ekskursii.Kak consequence, boredom and frustration, and regret the money spent. In the case of Natalia, we believe that we are lucky! I liked the lively, informal contacts, a deep awareness of her personal and genuine interest to those events about which she told me! We want to thank her for the time we spent together, because through it we learned a lot of interesting information about this, not previously known to have a country like Mexico. Yours sincerely George and Mary Babic. Between 22 to 28 October this year, we participated with the group on a tour of “City of the gods”, organized by your company. Tours have been Tatiana Nechay. After talking with a man is not only a great memory of the host country, but also good relations with the host travel agency. Tatiana is very well knows his business, has extensive knowledge about Mexico, its culture, lifestyle, geographic and singularities will always give advice. It is a good psychologist, knows how to get along with people. From it we learned a lot about the country and its people. Tatiana neravnodushey people and, apparently, loves his job. Express its appreciation and gratitude for the leadership of tour agencies to professional staff. Tourists Elena and Yuri Rudnev, Irina Guldenbalk. Dear Armina and “Arminas Travel” Team!! Thank you so much from our group from Kiev! Finally a dream come true and we got to the beautiful country of Mexico! Definitely say that in Latin countries appeared favorites Mexico and want to go back and see neuvidennoe, know the unknown. Long-term experience of cooperation finally embodied in himself and made sure again that you can sleep when clients go to this country with reliable partners. About guides are really nice to remember, a lot of information, plus the promotion of human and show an interest as a country. Thank you very much for your advice in drawing up the route, temporitm was so good that all abundance and sightseeing and recreation. 2 weeks spent in Mexico, but it seems spent a month at least, thousands of pictures will warm our long winter nights. We really saw a lot and did not bother, the maximum transfer 2.5 hours, thanks! I want to thank you and your wonderful company for the excellent organiziation of the program for my group! HUGE thanks to Maya for everything – EVERY participant told how she was wonderful, knowledgeable, tactful, intelligent, etc. Please tell her hello and thank you very much for everything! I was very glad to meet you and look forward to many years cooperation. I want to thank you for the well-organized tour. Thank you very much! Everything was wonderful. Special thanks to you for the guide Maja Wesmann. Excellent knowledge on themes, which shows her hability to establish high-quality contact with the group, plus her personal qualities, Deadlun simply irreplaceable. THANK YOU! I hope for further cooperation. I would like for us to leave a tip on your site and thank you for excellent work! So ended our trip, which for twelve days brought us so many interesting emotions and cognitive information. Our Russian-speaking group of 8 people first drove the new route “Mexico-Guatemala-Honduras, 15 January 2010, which was aimed Visit the main cities of several ancient civilizations – the Maya, Aztecs, Zapotec, Olmec and Mixtec. We priodoleli more than three thousand kilometers of Mexican territory – from Mexico City, to the most southern state Chapas, crossed the mountains of Guatemala and Honduras, and then returned to the Yucatan in Cancun, to remove film about diving in the famous karst caves – “Cenote”. A wide variety of natural landscapes and the splendor of cities the colonial era, has helped us to plunge into the history of local tribes and people and try to learn the history of their living and, perhaps, to understand causes of extinction. A huge number, like photos and video will be later story and film about this remarkable journey. We send warm greetings to those who traveled with us, as well as remarkable woman, our guide, Marie, who throughout Route shared with us all the joy and travel adventures! Her excellent knowledge of the culture of local tribes, history, courtesy, patience, answers to any questions, helped to take your time on the road. The route was very interesting, rich and informative. It was organized wonderful! I want to thank your company for the excellent organization of the group tour “Five Civilizations”, held on 27 October – 4 November and i think Mexico will not dissapoint anyone .Interesting program, good Hotels, chosen routes gives you a very positive perception of the country. Thank you for your wonderful driver Fernando, but special thanks to our guide. Guide was very clever, gentle, considerate woman with good sense of humor. Thank her for the Mexico, which she showed us, I congratulate your company. I want to thank you for my wonderful vacation in Mexico. Thank you very much for the good advice, which I actively enjoyed, and not pitied. Everything was just great! I am also very grateful with the host. Guides are just wonderful! from a professional point of view.Their absolute interest and participation, assistance and support – have always been fantastic. It should be noted that it is not often combined with professional skills! Interesting, entertaining, informative! Despite the fact that we spent much time on the bus, it would seem, was the time boring, but this was not due to endless efforts and work of Guides. I can safely say that the tour guide I was lucky! Irice Tours Travel Company was created in 2001. 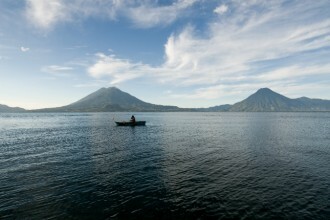 Our services have focused in Latin America and Mexico – the most visited and beloved country for tourist and us!. Since it’s founding, our company counts with a reliable and commited partner in Mexican affairs: Armina Wolpert. First, as a part of her work in a major Mexican Travel Company, and then as founder of “Arminas Travel”. Should be noticed the high level of proffesionalism of Armina and her stafff of managers, sales people, guides and representqatives in the resorts! “Arminas Travel” is a living fountain of ideas, projects, new tours, circuits and a modern way of thinking on Mexican touristic affairs. Working with her was interesting, safe and comfortable! We, Irina Konopleva and Andrew Sinyagin (Moscow, Russia), were lucky to acomplish our dream and visit the fantastic group tour “City of the Gods” in Mexico, dates 11.10 to 18.10 in 2008. We are simply delighted! Happy and satisfied! I sincerely thank you for organizing this tour! Perfectly formed program! Comfortable bus with a great driver! Adequately selected hotels! Perfect organization, including all transfers to Mexico and the Riviera Maya! Benevolent support of the entire route! Attention, even on high season on the Riviera Maya! A special and warm thanks to our guide – Tatiana Netchai for professionalism, caring and just a feminine charm! Thanks to her to fully enjoy the fantastic and unique country, as the long journey did not seem tedious at the expense of interesting stories, chosen with taste of films for the Mexican theme, timely and wonderful (in the Hacienda and the Cenote) stops! Again many thanks to you! You – fellows and superprofesionaly! Good luck to you, the further prosperity of Russia and the flow of interested visitors! Impressions of familiarity with Mexico’s absolutely stunning. In a very short time managed to learn a lot about the culture of most countries, life, national traditions and history. This was possible thanks Arminas Travel, excellent guides, who built a tour, entertaining and informative program. Special thanks to the organizers for a unique trip to Cenote, a fantastic trip and Rio Secreto, and, of course, hotels – their service level is impressive, even the most experienced traveler. For seven days in Mexico, we did not lose a single minute in vain – because of the accuracy of all the organizers, including even our driver, who filed the minute the car. Thank you all! Remarkable organization of the tour, interesting excursions, especially the cave, Chichen Itza and Temazcal. Country with enormous potential for Russia’s labor. Market. Cancun – an excellent resort, very pleased with the local SPA rituals, they are not as prone to “globalism” as in Europe. Special thanks to Armina, and Mark – charming people, very professional and interesting personalities. Many thanks for the work that you put into organizing this trip. I appreciate it very much. Very interesting excursions, incredible sensations in the bath Temazcal, Fun party at Coco Bongo. Picturesque country where you want to come back! Mexico,is indeed, a wonderful country. 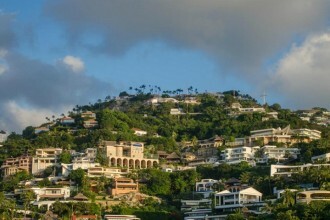 The combination of national color, many exotic things to do everyday , the identity of people and the combination of the highest level of hotels makes Mexico the country, in truth, unique. The most striking impression – Temazcal.